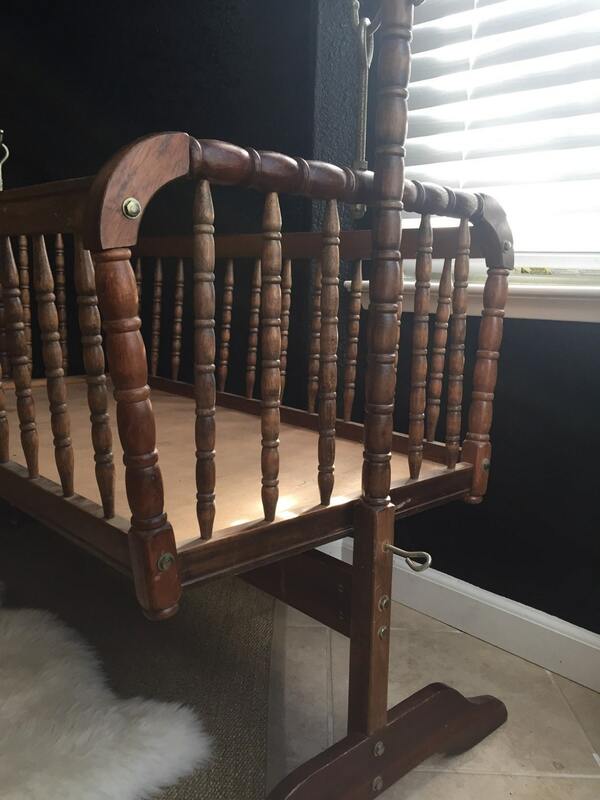 Amazing antique wooden rocking crib with spindle side rails. 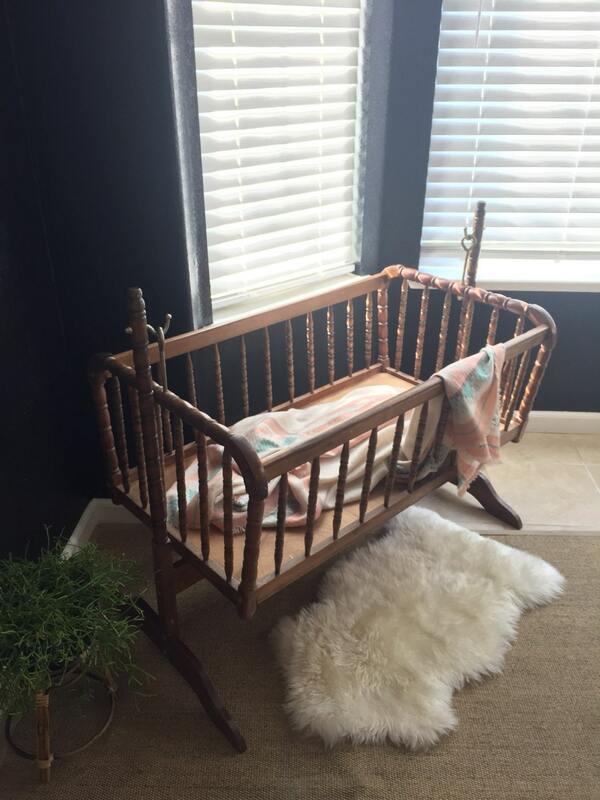 Crib is securely hung onto metal hooks at the end of the base frame. Ornate yet still quite modern looking. Most likely from the 1980's. 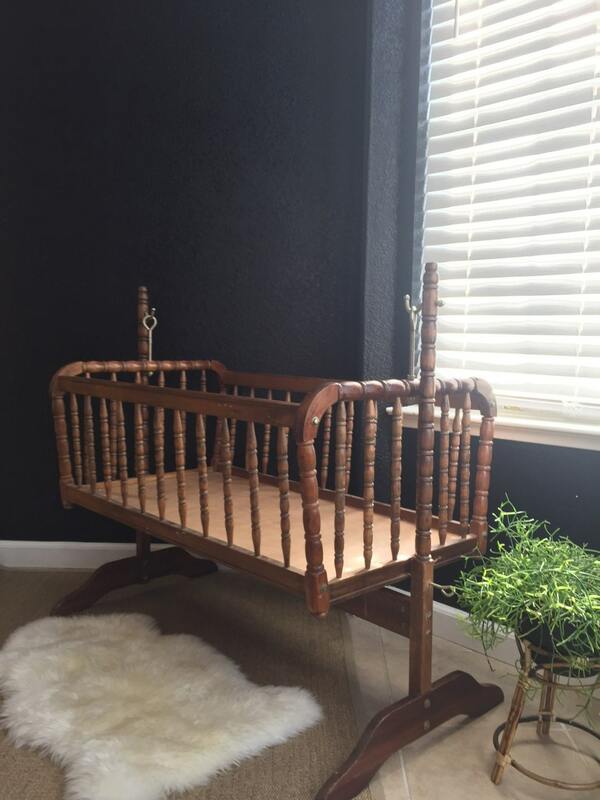 Crib has some wear including scratches and nicks, but overall it's in great condition considering its age. 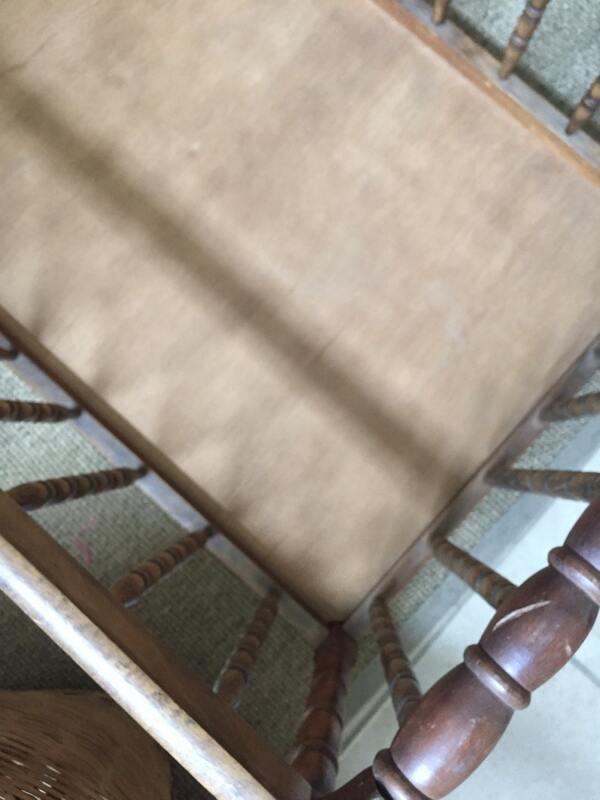 Structure is sturdy and in tact with no significant wear. Rocks nicely back and forth. 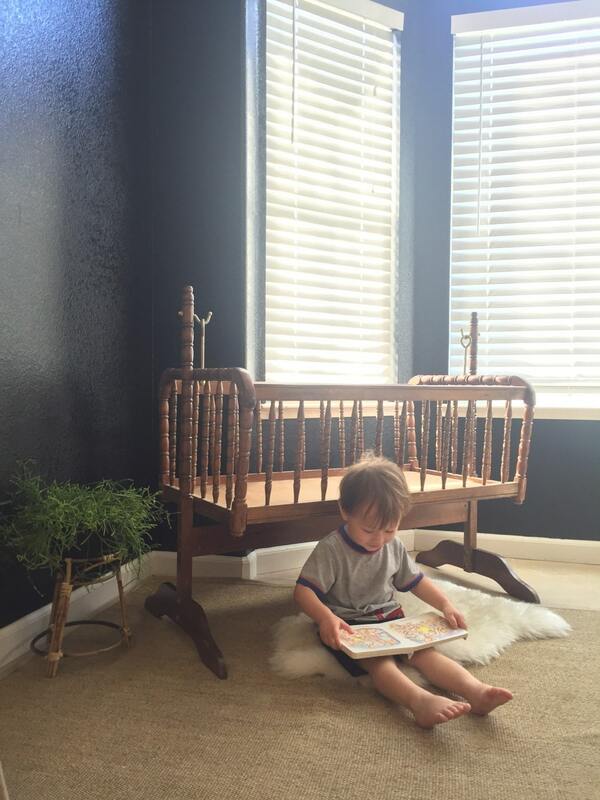 Base will come unassembled to save on shipping. Only takes 8 screws so should be easy to put back together. inside measurements 35.5" x 19.5"
The crib will be shipped with Greyhound Express. You'll need to leave your name and number, and preferred station of choice. Please check online for your nearest Greyhound Station. They'll call you when your package is ready to be picked up.